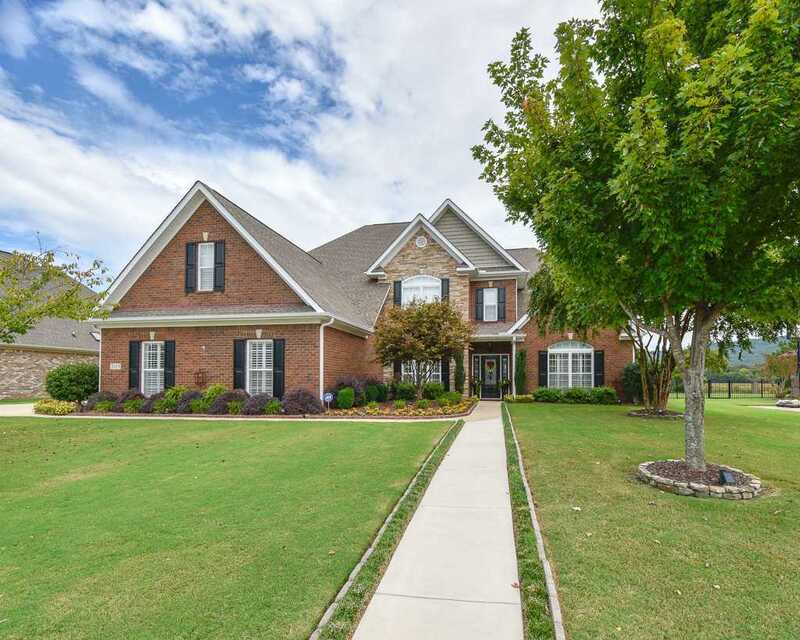 This is the Executive home in Hampton Cove you have been searching for. It is on a cul-de-sac lake front lot and features 5 bedrooms, a master on both levels, 5 baths, media & bonus rooms, with open floor plan. The house has been kept in perfect condition and includes many additions such as ceiling fans in every room, plantation shutters, fresh paint, hot tub on slab with brick bordering. Landscaping is immaculate on the water with an unobstructed, breath taking view of the surrounding mountains. The view is enjoyed year round from the heated and cooled sun room that looks over a pergola covered painted concrete patio with brick bench. The 3 car garage has a work bench. Will not last long!